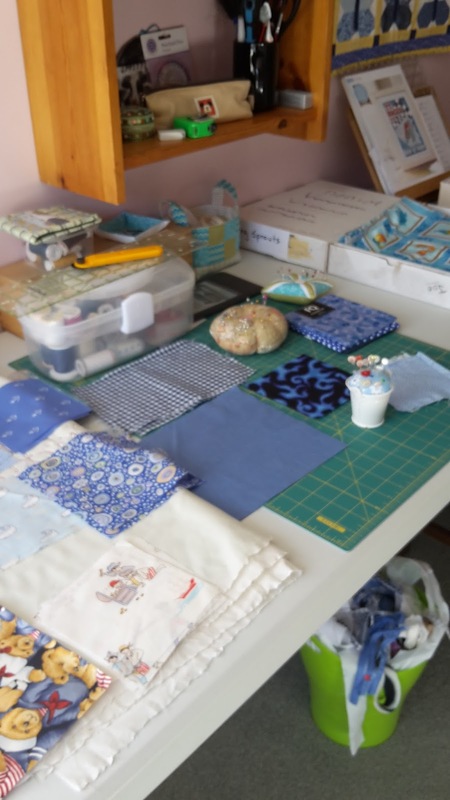 I was hoping to make a ticker tape style qult on the frame, but it just wasn't working out, so I did some reverse sewing and plotted plan B.
I made a start on that today. The overseer found it very tiring and climbed into bed for a nap. 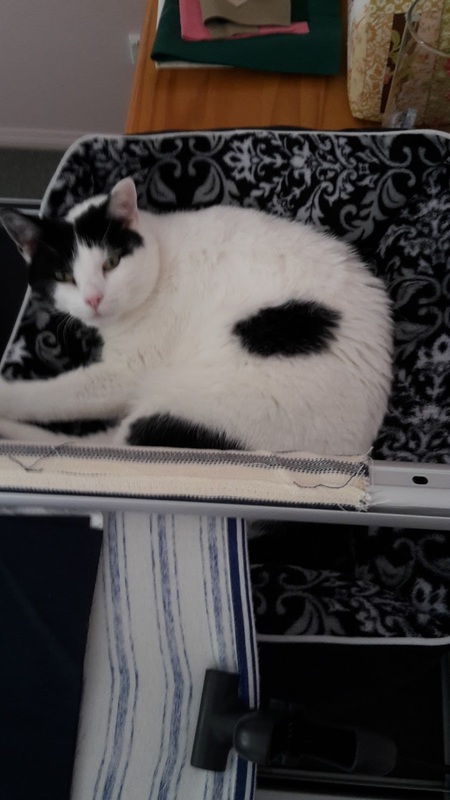 The only time she will get into that bed is when I put it up onto the quilting frame! Any other place and she snubs it. I thought she would never use it. Then one day while I wad having a tidy it found its way onto the frame and in she went. So glad she is using it. 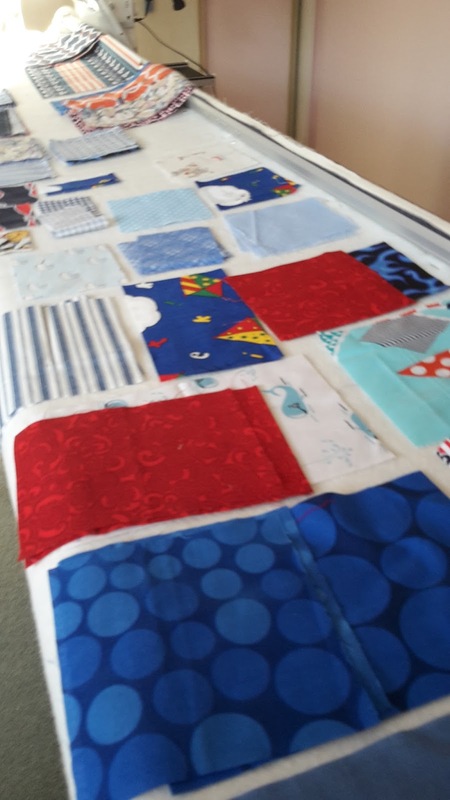 The boys quilt did finally make some progress today. I used some fabric I had precut, and cut and sewed more. There is no particular pattern, but it is inspired by this quilt. So, I had fun for a while this afternoon. I have more fabrics to cut into, but can't help wondering if I have enough. I may have to go find more. That would mean a shopping trip. The boy himself came for dinner this evening, bringing along a friend and his beautiful girlfriend. I think Plan B should turn out rather well. Aren't cats rather contrary creatures. Enjoy dinner. I feel a new start may be imminent.